Ankylosing Spondylitis vs. Fibromyalgia: Could You Be Misdiagnosed? Two painful rheumatic disorders, ankylosing spondylitis (AS) and fibromyalgia, have a complicated relationship. As people seek help for their pain, they may be misdiagnosed with one while actually having the other. 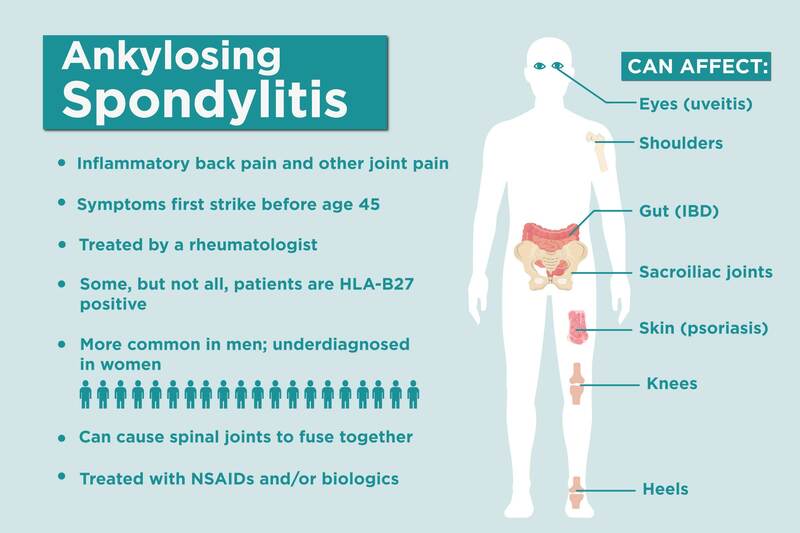 Some people have both ankylosing spondylitis and fibromyalgia at the same time — and won’t feel better unless each is recognized and treated. Here’s what you need to know about the connections and the disconnects between AS and fibro. Ankylosing Spondylitis and Fibromyalgia Symptoms: What’s the Overlap? Ankylosing spondylitis is a type of inflammatory arthritis. Fibromyalgia is a disease of widespread musculoskeletal pain that is thought to related to be how the brain processes pain. The pain, stiffness, and inflammation of AS most commonly affects the lower back, the sacroiliac joints that connect the base of your spine with your pelvis, the places where tendons and ligaments attach to bone, the cartilage between your breastbone and ribs, and your hip and shoulder joints. In contrast, the pain of fibromyalgia is usually widespread. Fatigue and sleep problems are frequently reported by people with both of the conditions. How do physicians tell the difference between fibromyalgia and ankylosing spondylitis? For some people, the AS diagnosis is pretty clear: “They have inflammation of the sacroiliac joints, an elevated sedimentation rate, a positive HLA-B27 blood test, and uveitis [inflammation in one layer of the eye wall],” says David Borenstein, MD, executive editor of spinecommuity.com and clinical professor of medicine at the George Washington University Medical Center in Washington, D.C. If, however, people have generalized pain beyond the spine — perhaps affecting the knees, thighs, elbows, and shoulders — Dr. Borenstein considers that they may have fibromyalgia, perhaps as a result of their inflammatory arthritis. “In fibromyalgia, there is upregulation of the way that pain messages are transferred to the central nervous system, so what might be considered light touch or pressure actually gets transmitted through the pain pathway instead of other sensation pathways and will be experienced as painful. A wide variety of things can cause that shift to occur, and one of those is an inflammatory disorder,” explains Dr. Borenstein. In other words, having arthritis like ankylosing spondylitis could increase your risk of developing fibromyalgia. In addition to AS, fibromyalgia is more common in people who have inflammatory disorders such as axial spondyloarthritis (which is considered by some to be early-stage AS), rheumatoid arthritis, Sjogren’s syndrome, and psoriatic arthritis. Of course, because both conditions are common, you can also have osteoarthritis and fibromyalgia, notes Dr. Borenstein. Because some of the symptoms between the two diseases overlap and because some people’s first AS symptoms are atypical, the initial diagnosis may change. In a study of CreakyJoints members presented at the American College of Rheumatology 2018 annual meeting, 21 percent of women and 7 percent of men eventually diagnosed with AS were first told they had fibromyalgia, which prolonged the time it took them to get the AS treatment they needed. Others aren’t diagnosed with fibro until after they are treated for AS and don’t improve as expected with AS treatment. It’s important to be aware of the overlap of AS and fibro symptoms, especially for women. Most fibromyalgia patients are women, and it’s common for women with AS to be misdiagnosed with fibromyalgia. 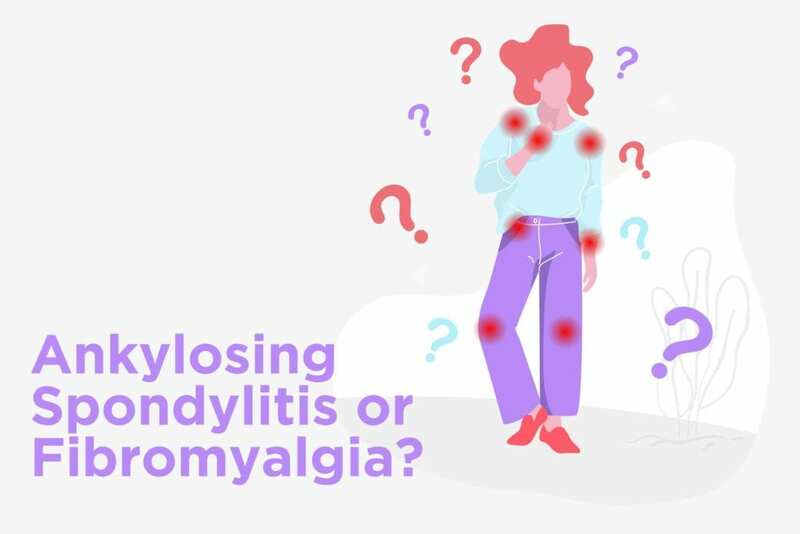 If you were told you have fibromyalgia, but ankylosing spondylitis symptoms seem like they apply to you, talk to your doctor about whether you might have AS rather than fibro, or whether you could have both at the same time. If you have both AS and fibro, you’re likely to need more than one type of medication. AS is commonly treated with non-steroidal anti-inflammatory medications, with the addition of biologic medications such as a tumor necrosis factor (TNF) blocker if needed. But that may not do the trick if you have both conditions. In data from a British registry published in 2018, when started on TNF blockers, people with AS and many fibro symptoms have less improvement in their disease activity and quality of life than those with AS alone. “In treating someone with both conditions, I may try to add a medicine that works on the pain inhibitory pathway in fibromyalgia, such as duloxetine or pregabalin, which I might not use for AS patients in general,” says Dr. Borenstein. While the medications that treat AS and fibro are different, there are things you can do for yourself to help ease the symptoms of both AS and fibro. Exercise to the extent you are able. Gradually increasing exercise is a key component of fibro treatment. “When you exercise to the extent you can, your body releases endorphins and that helps regulate your pain pathways. I want patients to exercise to the point where they perspire at least three times a week. 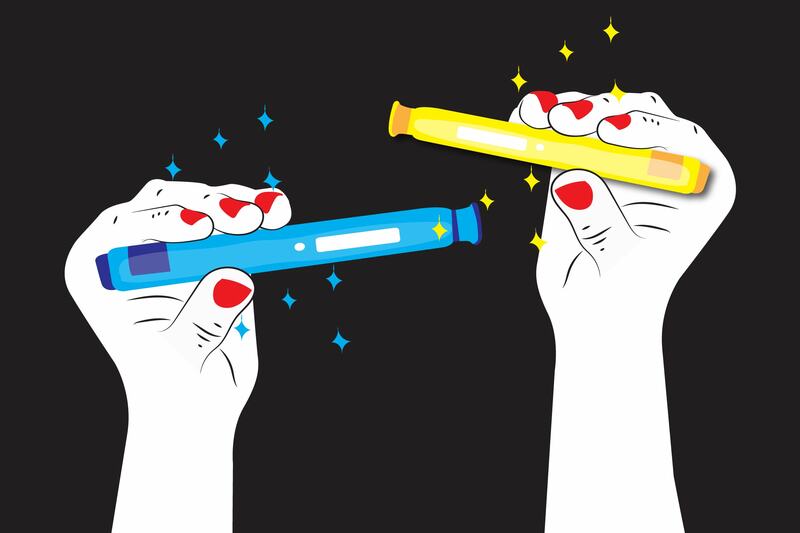 That’s the level needed to activate your sympathetic nervous system and release the chemicals needed to help take care of your pain,” Dr. Borenstein says. Exercise also helps prevent stiffness in AS patients. Good choices for a sweat-inducing workout include walking and riding a stationary bike. Take a deep breath. Several studies have shown that programs that incorporate gentle movements and deep, diaphragmatic breathing (such as tai chi and qi gong) can ease the symptoms of fibromyalgia. Deep breathing — filling your entire lungs — is also a key component of AS care. “Deep breathing —making sure the thorax moves — helps keep the ribs from fusing to the spine or breastbone, making it difficult to breathe well,” says Dr. Borenstein. Improve your sleep. People who sleep poorly and wake up tired and unrefreshed in the morning, are more likely to experience fibromyalgia. In fact, depriving a healthy person of sleep can bring on many of the same symptoms — muscle pain, tender spots, and fatigue — and they vanish once adequate sleep is restored. In AS, sleep problems often result from uncontrolled pain, with a person waking and getting up in the night because their current position is too uncomfortable. Overall, while the combination of AS and fibro symptoms can be debilitating and hard to deal with emotionally and physically, Dr. Borenstein finds plenty of reason to hope that your quality of life can be improved. “Both conditions are treatable. It takes effort and you have to be in it, but I’ve had patients who have controlled their symptoms and feel much better,” he says. Join CreakyJoints’ patient-centered research registry and track symptoms like fatigue and pain. Learn more and sign up here.